Something personal: My husband and I both grew up with very modest lifestyles. Single parents, public school, simple home/apartment, etc. I think we both learned to appreciate the value of a dollar that way, and how hard our parents worked to make sure we had the things we needed. I have great memories of my childhood, of my first job (at 15.5 years old), and my first car (a beat up red camaro!). I worked for everything, including my college tuition! When I look at my life now, and my kids lives, I would say we are “rich” in comparison. And yet we live on a budget, we try to save money, we are “upside down” in our home (thanks to the housing market), and I long for new clothes, shoes, and purses! I often ask myself why I want these “material things,” and I’ve yet to find a good answer. I just do! But alas, the point to my story is that Jeff is really good at fixing and reusing things. I love that about him (and hate it sometimes too). Here is a great example of the latest reuse/recycle project. 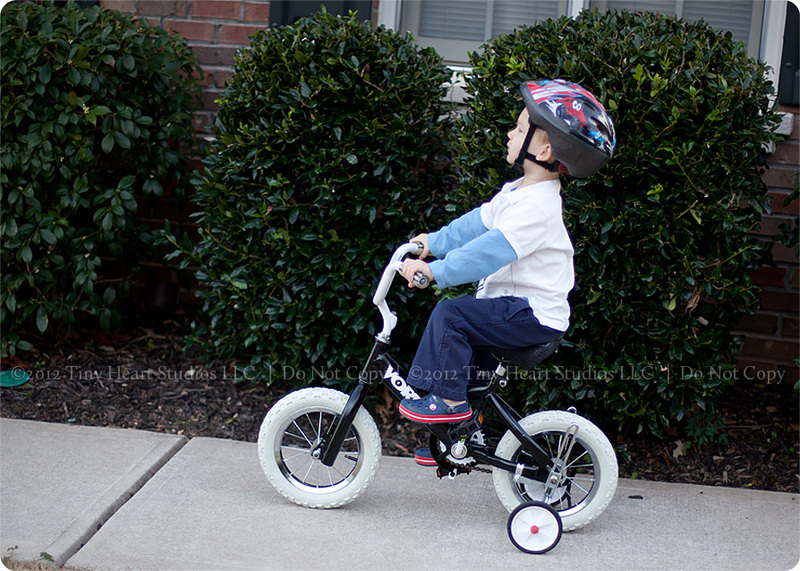 Kylie’s Barbie bike that I purchased at a consignment sale for $20 two years ago, repurposed into a VORTEX racer bike for Jake. 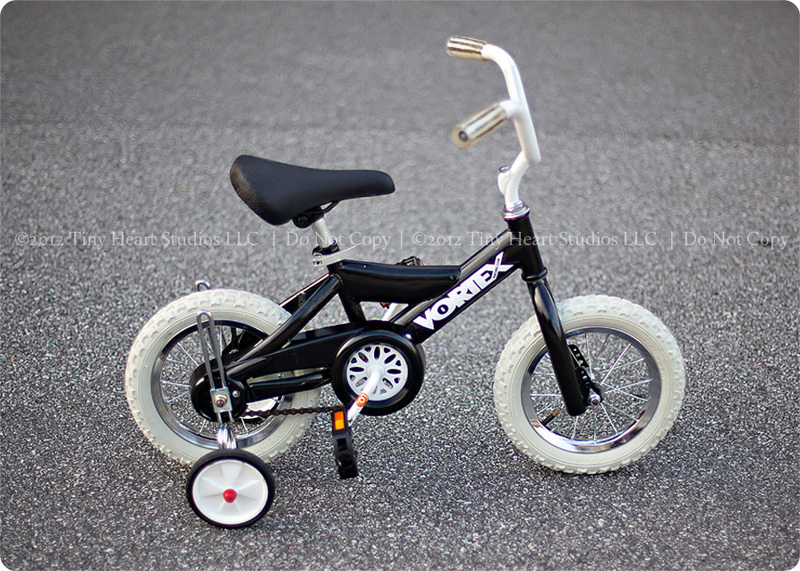 It’s better than any bike we could have bought in the store, and the whole family had fun completing the transformation. Grandpa even found a new seat and pedals to complete the look. 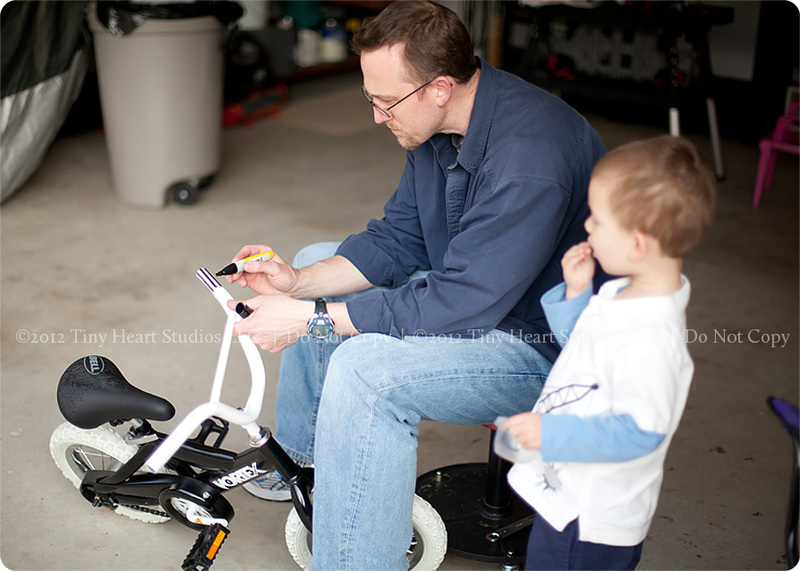 And now the “making” of the bike is part of the memory. Love that! Here’s a “before” pic. 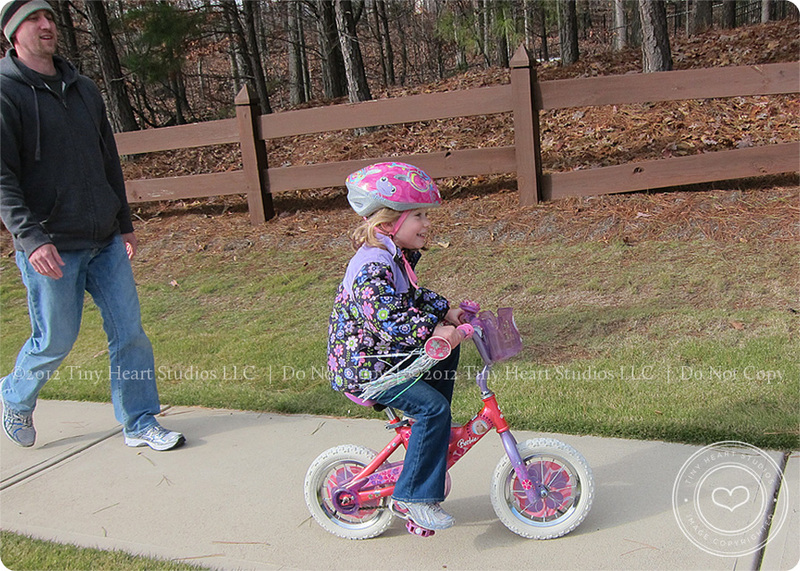 Kylie learned how to ride without training wheels in December. The “after” picture. Jake looks pretty cool right? 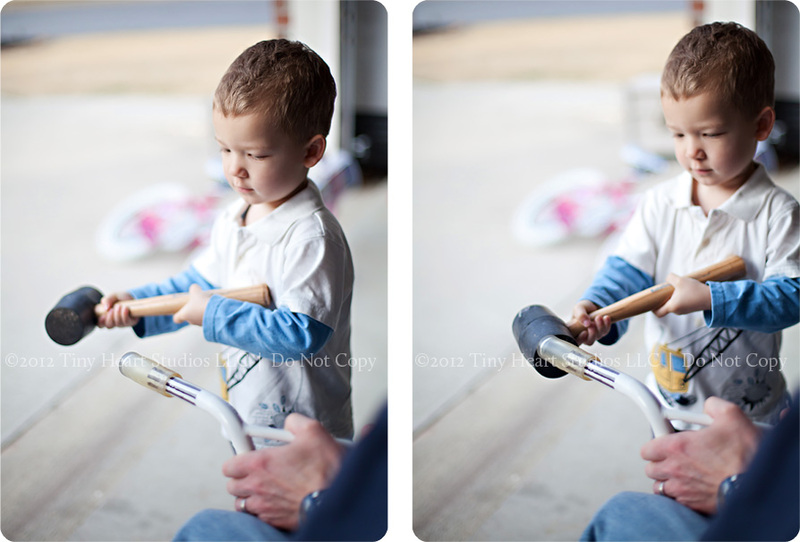 Something cool: A while back at a friend’s Pampered Chef party I bought the Mix & Chop Tool. It has been the best purchase – and I use it all the time! 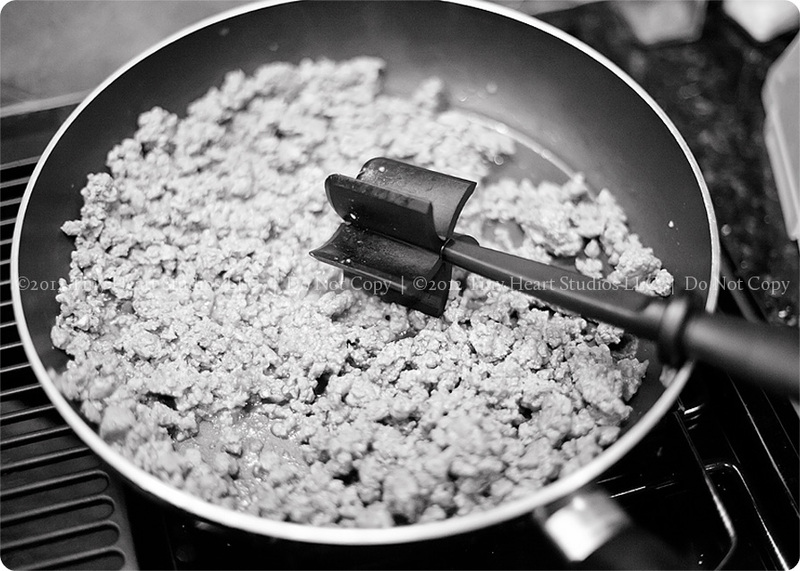 It’s always such a pain to chop ground beef/turkey into small pieces with a spatula. This makes it so easy! 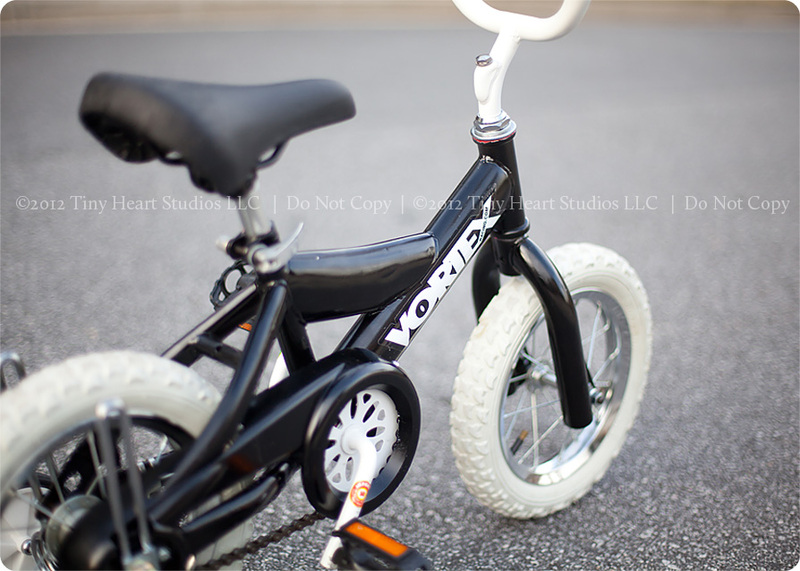 It’s the little things…..
Heidi – this is by FAR the best re-purposed bike EVER!